I hadn’t realized that I’d only seen a small part of my home state. After years of numerous road trips, I still missed so much that Oregon has to offer. This past November, I took a road trip to explore a town I’d never heard of as well as revisit a city I’d only ever had a glimpse of. To maximize my time and money, I stayed in centrally-located hostels. Road tripping to hostels isn’t always easy, especially when it comes to finding parking. But so far, all of the Oregon hostels I’ve stayed at have provided plentiful parking in a good area, as well as so many other unique amenities. Both hostels from this trip were great; I think you should stay there too! Bonus: Be sure to click on the links to see my full reviews at Hostelz.com! To be honest, I didn’t even know this tiny town existed before I starting researching for my road trip. But I had heard of the Painted Hills, one of the 7 Wonders of Oregon. A short drive and several quick hikes took me through a sightseeing tour of awe-inspiring multicolored formations. Mitchell, Oregon is the nearest town to this national monument. While the Painted Hills are the most notable landmark, the entire drive from Central Oregon to Mitchell offered scenic views. Just eight miles away from the Painted Hills National Monument is Spoke’n Hostel, located right next to the city limits. Although I didn’t spend much time in the town proper, my fabulous night in Mitchell suggested that Spoke’n Hostel is the place to be in Eastern Oregon! I was greeted by the owners, who have renovated their church to welcome TransAmerica cyclists and Painted Hills travelers in the most beautiful way possible. The sanctuary-turned-bunk room is the best I’ve ever seen. The big locally-made beds with privacy curtains offer a comfortable rest and personal necessities (like lamps and charging ports). Surprisingly, I was the only guest that night, so I was upgraded to a cozy private room. Down in the basement, I used the library, kitchen, games, and other fun activities. Even the backyard is picturesque! In the heart of Oregon, you’ll find Bend, a city thriving with its city fun and outdoor adventure. I spent nearly two full days exploring just a sample of what Bend had to offer. I went for long walks, including my own alcohol-free version of the Bend Ale Trail. 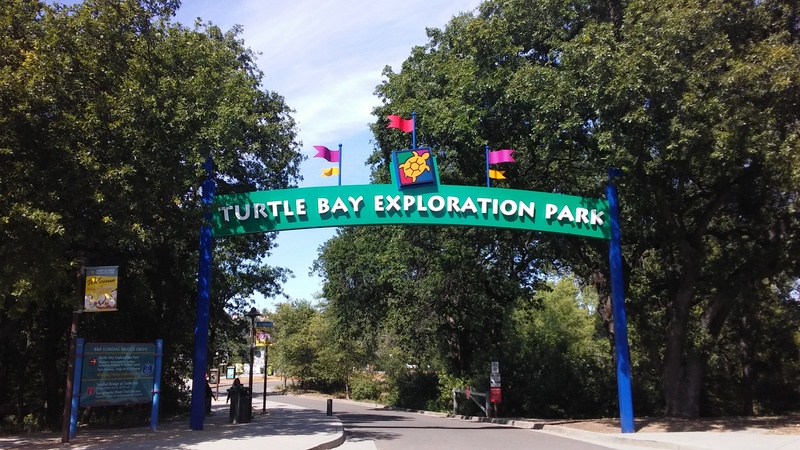 I followed the Deschutes River, ate delicious food, and saw unique sites like the High Desert Museum and America’s only remaining Blockbuster Video. 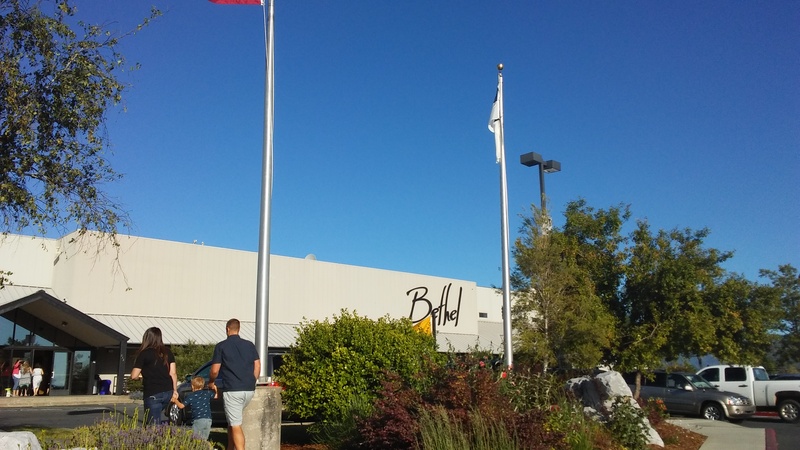 Bend has history, too! And what better way to be a part of its history than staying in the city’s very first brick building? Bunk + Brew Historic Lucas House was an old building with a young heart. Just a block away from downtown, Bend’s only hostel offered a variety of dorm rooms (I stayed in the four-bed female-only dorm), make-your-own-breakfast, and adventurous employees who can make your time in Bend even more enjoyable. I loved staying in the Eugene Whiteaker Hostel. Ashland Commons is another good hostel choice. Question: Which hostel would you most like to stay at? Do you have a favorite road trip route? Let me know in the comments! I rarely ever stay at hotels. There are so many other accommodation options that typically provide a better value in terms of service, activities, and price. But I recently decided to book a short end-of-year weekend trip to the Oregon Coast. I usually camp when I’m on the coast, but since I don’t have a heated RV, that isn’t a practical option in the winter. I did check out the state parks to see if they had any heated yurts available. I only found one campground that had one yurt available for one night. I reserved that for a grand total of $51, but that still left me with another night of no accommodation. That’s when I turned to look at hotels. I ended up finding a hotel room in an ideal location that included breakfast and a few other amenities I would enjoy. Although the room was listed for $70, I used some creative techniques to get the price even lower than the cost of my night in the yurt. And then I did a little bit more to get it for practically FREE! I will be doing the same process to save money on hotels in the future, and you can too! You can use either tip separately, or combine both for maximum savings! I decided to book on Hotels.com so I could easily compare the prices of different hotels. It turned out that Hotels.com offers even more savings than just price comparisons! I found a hotel that normally started at $70 but was discounted to $65. That was okay, but I wanted it for less, especially after taxes and fees were added to that price. I found a Hotels.com promo code that saved me 10%. With that included, my grand total was down to $63.06. Not bad, although I wanted to do better. I booked it anyway. After paying, I read up on Hotels.com’s price guarantee. Basically, it said if I could find the same type of room at the same hotel for the same dates for a lower price anywhere online, they would match that. It only took me one Google search to find several booking sites that offered rooms at this hotel for $51. But upon closer inspection, these were for rooms with a queen bed. I had booked a king bed, since on Hotels.com they were both the same price. But on these sites, the king room was still at $65. No savings there. Then I decided to visit the website for the hotel itself. Oftentimes, booking directly will be a little cheaper since the hotel doesn’t have to pay commission fees. Sure enough, I found a room with a king bed for $51 on their website. I took a screenshot and filled out a quick form on Hotels.com. Pretty soon, I received a refund of $14.58. That meant I got what might have been a $70 room (not including taxes and fees) for a grand total of $48.48 (including taxes and fees). All I had to do was use a promo code and a price match. I’ve stayed in some hostel dorms for more than that! It was even $2.52 less than my campground yurt! If that sounds like a good deal to you, feel free to stop reading here. If you’d like to save even more, check out the next tip! Swagbucks is essentially savings central. You can earn points called SB by doing things like searching the web, online shopping, and taking surveys. I’ve even earned quite a bit here by donating to charity! After earning SB, you can trade them in for real cash. You can cash out to PayPal or a Visa card, or buy one of hundreds of gift cards. These gift cards can even buy your way to free travel. If you don’t have a Swagbucks account yet, click here to sign up with a 300 SB bonus! I earned enough just from my regular Christmas shopping to get a Hotels.com gift card. Adding the Swagbucks app to my browser has notified me of lots of cashback opportunities I didn’t even know existed. If you don’t want to spend any money at all, you can still earn with Swagbucks. I’ve earned gift cards by taking surveys, using the Swagbucks search engine, and checking out free offers- no purchases are needed to get a gift card! Hotels.com is one of the online stores where you can earn cash back on Swagbucks. Although the offer varies from time to time, you will always earn more SB if you book a hotel room without earning Hotels.com Rewards. So if you book a room on Hotels.com with a gift card that you earned on Swagbucks, and you get SB for your stay, you’re basically getting paid to stay in your hotel room! Since I used a promo code I was not eligible to earn SB on this particular trip, but I ended up saving more with the promo code than what I would have earned in SB. However, when I make a reservation in the future, I will check to see if Swagbucks has a better current payout than the available promo codes! Now I have a great trip at a great price to end 2018. One of my 2019 goals is to pay for a trip with creative couponing (such as using Cardpool as well as Swagbucks and tricks like these for Hotels.com) so you can expect to hear more great ways to save in the new year! Over 200 years ago, Lewis and Clark took an incredible expedition to the Oregon Coast. Their journey reshaped America as they explored new places. A couple of weeks ago, I also took an adventurous journey to the Oregon Coast. While Meriwether Lewis and William Clark are no longer around to guide me on my travels, this trip was made easier with Lewis N. Clark! 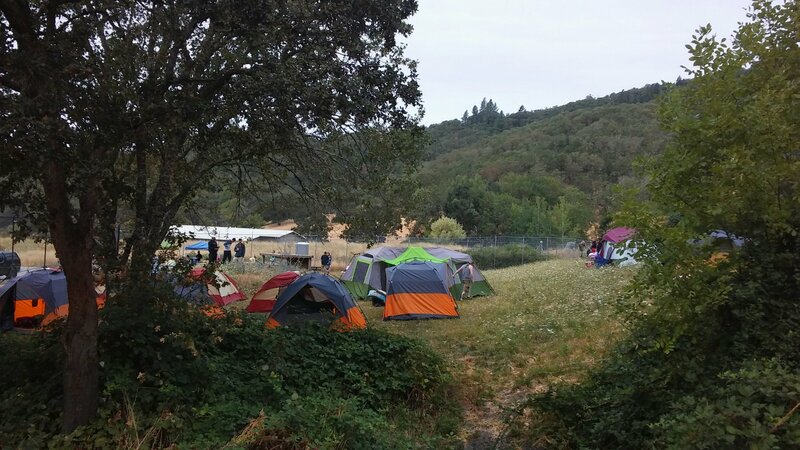 There are plenty of hotels, guest houses, and AirBnBs in every town along the Oregon Coast, but to get the full experience, camping is a must. 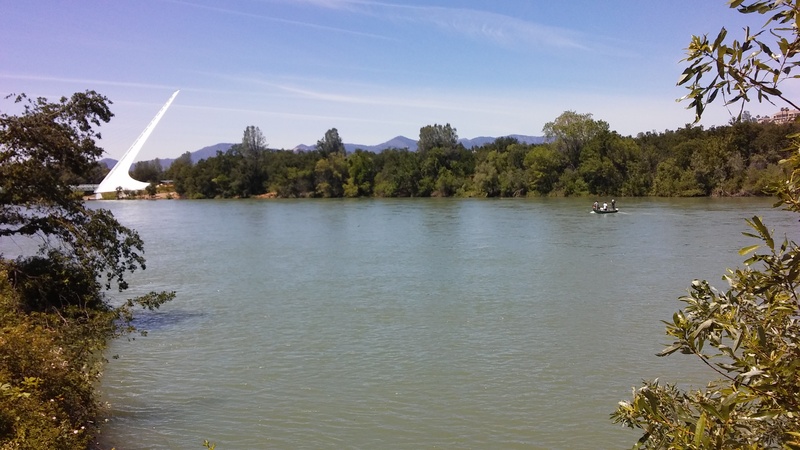 There are camps near each of Oregon’s coastal towns. Camping frees up money that you would have spent on accommodations to do other fun things, like shop for handmade candy, buy a craft straight from an artist, eat at a local restaurant, or put a little extra gas in the car for more adventures. Plus, camping near the coast is an experience in itself; the sounds, the sights, and the smells are all wonderful. Unfortunately, there are downsides of camping, especially if you’re trying to cram as much as possible into a short trip. Setting up and tearing down a proper campsite can take up to several hours! With this road trip, I only had a day and a half before I needed to get back home. My itinerary included stops in Roseburg, Bandon, Port Orford, Gold Beach, Brookings, and the Redwood Forest. Even as much as pitching a tent would mean that I’d have to miss out on adventures in some of these places. So what did I do? Set up camp in my car! If you drive an SUV, van, or some other vehicle where you are able to stretch out, you can actually transform your car into a cozy home away from home. I’ve done this several times before. I always make sure to bring some sort of padding, a sleeping bag, and a sheet that I can hang up to block out the windows. This time, I also brought along Lewis N. Clark. Their new BeWell Ultimate Comfort Set was small enough that it hardly took up space in my car, but unfolded to include everything I might need for my night away. Inside this pack, I used the blindfold to sleep in darkness, the earplugs to sleep in silence, and the travel blanket when my sleeping bag just wasn’t warm enough. The carrying case even inflated into a pillow. Although this was my first time using this Lewis N. Clark BeWell Comfort Set, it certainly won’t be my last. It’s going on all my trips with me! I can especially see it being useful for long plane flights. In addition to the comfort set, I also brought along the new Lewis N. Clark self-inflating travel pillow. It’s a smaller pillow that can be made even smaller as you deflate it into its stuff sack. This little pillow added some extra comfort and support while car camping. During the day, it also helped support my neck or back as I drove long distances. The shape of this pillow was especially beneficial in providing comfort. If you’d like to see more photos of my Oregon Coast Car Camp-out, check out my Instagram. To get these and other great Lewis N. Clark travel products, go to lewisnclark.com. How do you make your adventures more comfortable? I was provided with the above mentioned Lewis N. Clark gear for review purposes. No other compensation was made. Hawaii is known as an expensive vacation destination, and the island of Maui is no exception. However, my sister and I recently returned from eight nights on this tropical paradise, and we did it on a budget! If you’d like to see Maui, Hawaii without the typical price tag, take a few of our tips. Some links are affiliates. All links are personally recommended by me! For the most part, I just used what I already owned to pack my bag. In Hawaii, you can wear shorts and swimsuits year-round, but I also packed a rain jacket for the unpredictable weather changes as well as leggings and a long-sleeve because I wanted to hike Haleakala with its cold summit. Since most of the clothes were compact, it was easy to fit everything into carry-on luggage and not have to pay for a checked bag. One thing I did need to buy was razors. I ordered a starter pack from Dollar Shave Club, which included a handle, four blades, and some travel-sized toiletries, all for $5. Better yet, I took advantage of a Dollar Shave Club deal on Swagbucks, so I was paid back in rebates. One item I knew I’d need, but didn’t have was a snorkel. I decided to just rent one in Hawaii. However, before going to the snorkel rental shop, we stopped at a grocery store. There I found snorkels for the same price as a one-day rental. Since my sister and I both knew we’d be snorkeling multiple days, we bought these and made our money back with our first swim. I snorkeled a total of three days and saw some incredible sea life, making it a worthwhile purchase. We rented dorm beds at Maui’s Banana Bungalow Hostel. This was by far our biggest expense on the island, and one of the most expensive hostels I’ve ever stayed at. But the $51.40 per night was much more reasonable than any Maui resort or vacation home. I suppose the only cheaper option would be camping, but that is only available in remote areas, and I wanted to be close to the action. Plus, the hostel offered more than just a bed to sleep on. Banana Bungalow provided other money-saving measures that I’ll explain through the rest of this post. While most Maui vacationers rent a car, here’s our big money-saving secret: we didn’t drive at all! The main reason I chose to stay at Banana Bungalow was because they offer different tours to different parts of the island each day of the week. I ended up going with them to several famous beaches, Haleakala National Park, and even the Road to Hana. Of course, the drivers/guides work for tips, but these tours were worth more than pricey commercial tours. Thankfully, most of Maui’s attractions don’t cost a dime. All beaches are open to the public. Swimming is free. Hammocking is free. Hiking is free. Most parks are free. With the Banana Bungalow tours, we didn’t even have to pay for gas or parking. The only activity expense I had with these tours besides tip money was the national park entry fee into Haleakala. Since my sister’s birthday was in the middle of our trip, we decided to celebrate at Maui Tropical Plantation. We originally weren’t going to take the tour and instead enjoy the free botanical walking paths and my gift to her would be a meal at the restaurant. But then we changed our minds on the restaurant and decided to eat from the less costly coffee and ice cream shops, so then my birthday gift to her was paying for the tram tour. It was $20 per person and included lots of sights, information, and fruit! Admittedly, this was the most difficult category to keep on a budget, and I definitely made a few splurges. Most food in Hawaii is expensive, so I didn’t want to be paying exorbitant prices for the same food I eat at home. I also wanted opportunities to taste local cuisine. However, I did pack a variety of snacks so that I didn’t have to buy food in airports, and I used these snacks to supplement a couple of meals in Hawaii as well. The hostel offered make-your-own pancakes every morning, so breakfast was covered. Often while cooking in the communal kitchen, others would make food and offer leftovers to everyone. There were even free shelves in the fridge and pantry, so that provided a few ingredients. The tours stopped at grocery stores such as Safeway and Foodland so we could load up on reasonably-priced food. These stores have local, grown-in-Hawaii produce sections, so I focused my shopping there. We also bought fresh fruit at Maui Tropical Plantation’s market and packaged goods at an Asian market down the street from our hostel. We even got food at Costco. 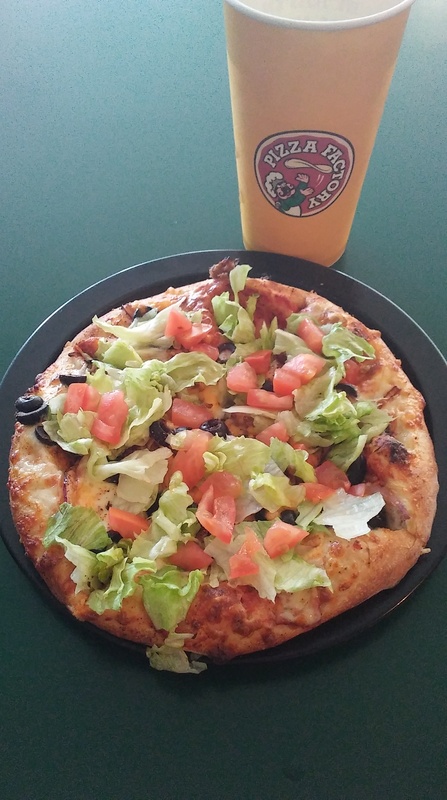 The restaurant menu had some different choices from our local Costco, but still had $1.99 pizza and $1.50 hot dogs! We did go out to eat several times, but not to fancy sit-down restaurants. We happened to be in Wailuku during their First Friday street fair, so we loaded up on all kinds of local cuisine from the various food stands and trucks. We ate at food trucks and stands a couple other times, like on the Road to Hana where we split a roadside meal served on a banana leaf. (We passed on the banana bread when we realized it was from a bakery a block away from our hostel. We walked there the next morning and got the banana bread for a fraction of the price!) We also ate at a few walk-up restaurants. We even ate at McDonald’s, but I only ordered off their unique local menu. Spam and eggs, anyone? I got a few mementos from this trip, mostly free. I wrote in my journal every day. I pressed a flower in its pages. I brought my National Parks passport so I could add a Haleakala stamp. And of course I took lots of pictures! Toward the end of our trip we went to Lahaina, which was a good place for shopping. There were fairly good prices at ABC Stores, where I got chocolate covered macadamia nuts and a bracelet. Out of respect for preserving the natural beauty on Maui, I did not smuggle out any coral, sand, or rocks. Maui did end up costing more than my typical frugal trips, but we were able to have a good time without breaking the bank. I hope you’ll be able to enjoy Maui on a budget, too! How do you lower the price of an expensive destination? Let me know in the comments! Every holiday or trip away from home is unique. You’ll be heading to different places and travelling for different purposes. In short, you’ll expect something different from each place that you visit. So you can’t expect one form of accommodation to cater to all of your needs regardless of the situation. It only makes sense that you should consider where you’re going to stay during each of your journeys before setting off and ensuring that you choose the option that best suits your needs at that given time. Here are a few different types of accommodation to consider next time you’re away from home. Hotels are perhaps the most commonly used form of accommodation when people go on their travels. It’s not surprising. They’re comfortable, luxurious, and offer you pretty much anything and everything that you could possibly wish for as part of your vacation. They are ideal for those who want rest, relaxation and recuperation. If the weather is fine, you can take advantages of common features such as pools and sun loungers. Many also offer spas where you can receive massages, facials, and other treatments. Perhaps the best part? Large buffets or other forms of catering that keep your appetite satiated day and night. 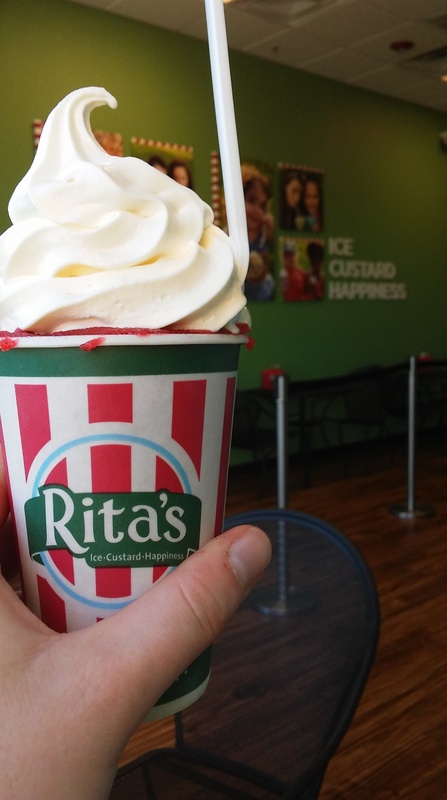 They may be relatively expensive, but they are great for a treat. Hostels are like budget versions of hotels. You may lack privacy, as you will likely have to share your room or dorm with other weary travellers, but you will have somewhere to rest your head for the night. This doesn’t sound ideal, but their low price makes up for what facilities and luxuries they lack. Hostels are the ideal form of accommodation for backpacking. You can save the money that you do have for food and activities, without having to resort to sleeping on the streets or forking out for lavish hotels. So, if you merely need somewhere to sleep, this is the option for you. You can simply get your head down, the set off on your new adventures the following day. Job done! Many people will not have heard of this option before, but corporate housing is great for business trips or extended leisure trips where you want a home away from home. Decorated and furnished apartments are let out for short periods of time. They are often located in large cities, so provide the perfect option for those who are considering a city break. While you explore by day, you can rest safe in the knowledge that you have a comfortable home to return to at night with all the amenities and home comforts you could wish for. If you’re seeking an experience a little further out from the city and the wilderness calls, camping could be the best option for you. What do you camp in? A tent. However, things nowadays are a little more complicated when it comes to purchasing the right tent for your needs. Different styles are designed for different purposes, and prices can vary from low to extremely expensive. So work out how long you’re going to be out in the elements for and how severe weather conditions are likely to be. For even the shortest of trips, you’re going to want something that is watertight and water resistant. If you are going to be camping for a while, you will want something a little larger to avoid feeling cooped up or claustrophobic. At the same time, you want everything to be as lightweight as possible, as you’re going to have to carry it to and from your designated campsite. Tents, however, aren’t just for those looking to venture into the woods. They are also a must-have for festival-goers who are planning on seeing all of their favourite bands over an extended weekend. If you fancy heading out of the city and into the countryside, but fancy a little more comfort than the humble tent can provide, you may want to consider a more permanent fixture. A log cabin, to be precise. These give you a taste of the rural at the same time as guaranteeing your warmth and security. They are rustic, homely, and a great way for you to escape from the rush and hubbub of the inner city without having just a thin layer of material between you and the elements. These are just a few different forms of accommodation that you might experience on your travels. Remember that there’s so much more out there than the standard hotel room. Broaden your experience and be adventurous! Roars and Snores and So Much Mores! 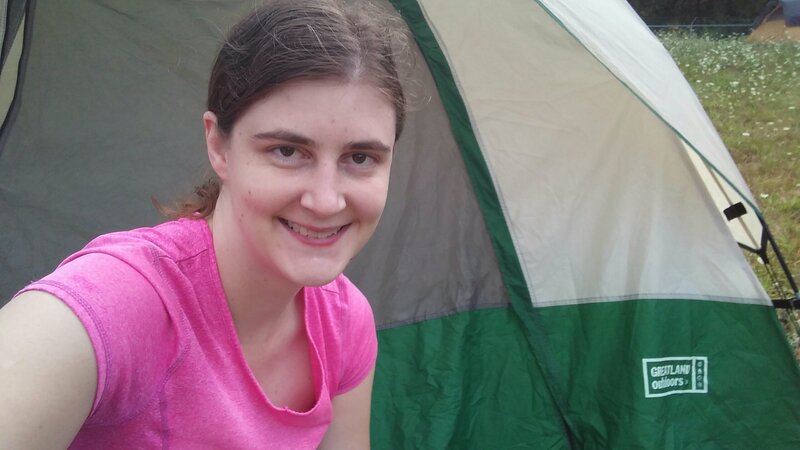 Last weekend, I went camping. With lions. Despite being only about an hour and a half away from my home, I felt as if I had somehow been transported to an African safari. I rode around in safari trucks with guides who knew a lot about the dozens of animals we passed. And before falling asleep in my tent, I listened to the carols of a pride of lions. In reality, I was at Wildlife Safari near Winston, Oregon. I’ve been to this drive-thru safari experience a few times, but that wasn’t in the plans for this trip. I was there to take part in Roars and Snores, which involves a sleepover inside a lion enclosure, plus a jam-packed itinerary for animal enthusiasts. The event description on their website was somewhat vague, so I knew I was in for a weekend of surprises! I arrived at Wildlife Safari an hour before Roars and Snores began. This was the perfect amount of time to enjoy the free Safari Village, which has a petting zoo, taxidermy room, and dozens of animals you can’t see in the drive-thru safari. There’s also an overlook to the lion enclosures, where I saw staff setting up for the night’s experience. Then I went to the gift shop to check-in. I was told to have a seat in the restaurant where guests would soon enjoy dinner and a presentation. 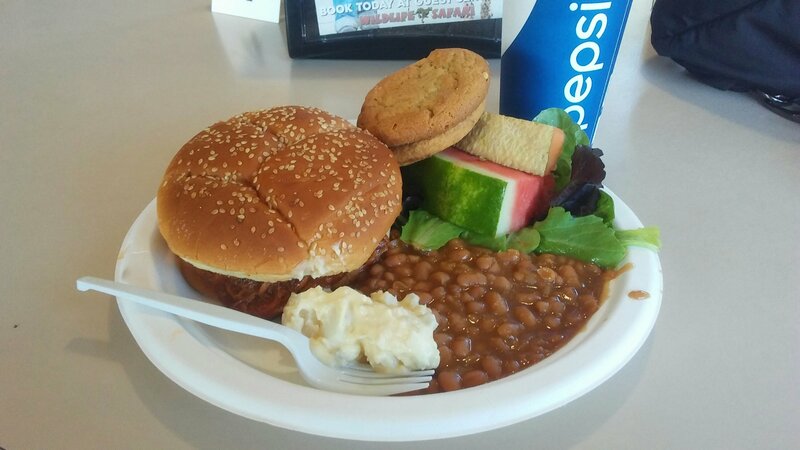 The barbecue-style dinner was delicious, with enough food and variety for everyone to eat as much as they wanted. Several zookeepers showed us slideshows about two animals we would see that evening: lions of course, and also bears. I learned a lot about these beasts, like how lions “carol”, which is a sort of role call using roars. After everyone was stuffed, we walked it off on the way to the nearby lion enclosure. The keepers explained how they don’t train Wildlife Safari’s animals to do tricks like a circus might. However, they do need to train the creatures in some ways to make sure that they stay healthy. For example, we got to watch the lions mimic their trainers by lifting up their paws, and that way they could be inspected for injuries. Each lion who did this was rewarded with raw meat kebabs. However, no one at Wildlife Safari forces the animals to do anything. These snacks were a good encouragement to get inspected and go into their nighttime shelter, but if a lion chose not to do this one night, then the staff would record this and try again the next day, but otherwise let the lion be. 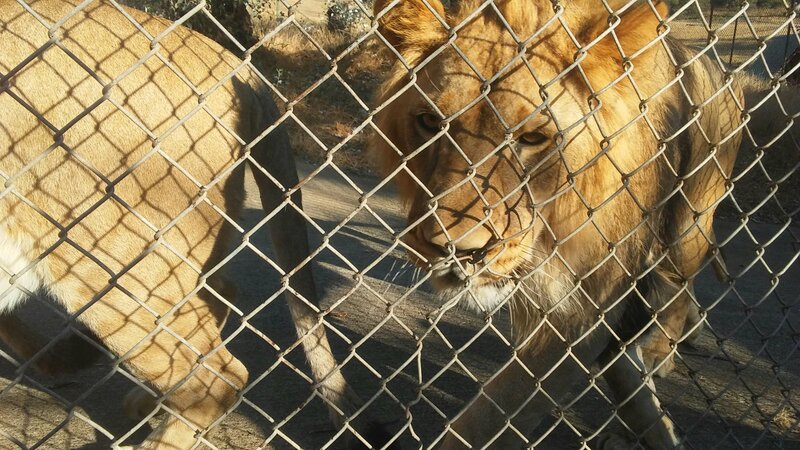 Since these aren’t truly “trained” lions, we got to see some of their wild instincts up-close through the safety of a fence. When the lions saw the children in our group, or even adults squatting down, they would pace in front of that person. In the wild, lions often go after smaller prey because it’s a more guaranteed victory for them. But some of these lions’ habits weren’t the same as a wild lion. In this pride, a female was in charge. Typically a male would be the head of a pride, but since the two adult male lions were rescues, the females had more skills. The adult males are also kept separate from the cubs so that a male cub doesn’t try to overpower an adult male like they often do in the wild. After the lions went to bed for the day, we hopped on the safari trucks and headed over to the bear enclosure. On the way, we passed through parts of the African and North American sections of the safari, so we got to see several species along the way. 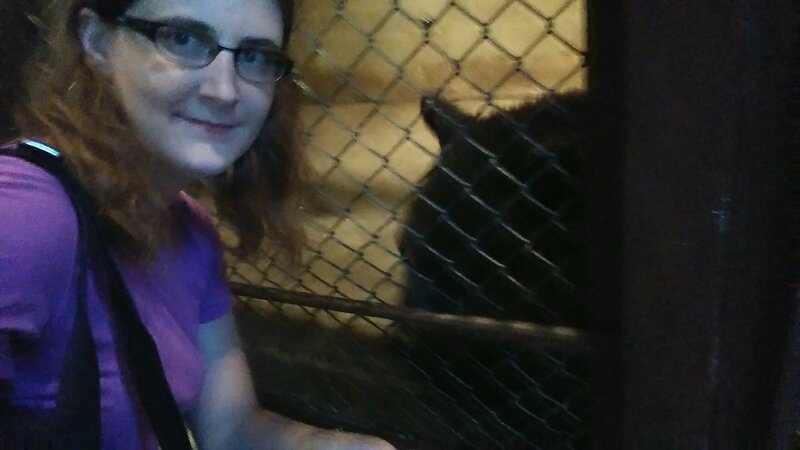 When we got to the bears, I watched them eat watermelon, play with boxes, and take their medicine. It was a great experience, but I hope I don’t get that close to a bear in nature! By the time we were bussed down to the lion enclosure with all of our camping gear, it was getting dark. I don’t think I’ve ever set up my tent after sundown before, but it was accomplished! 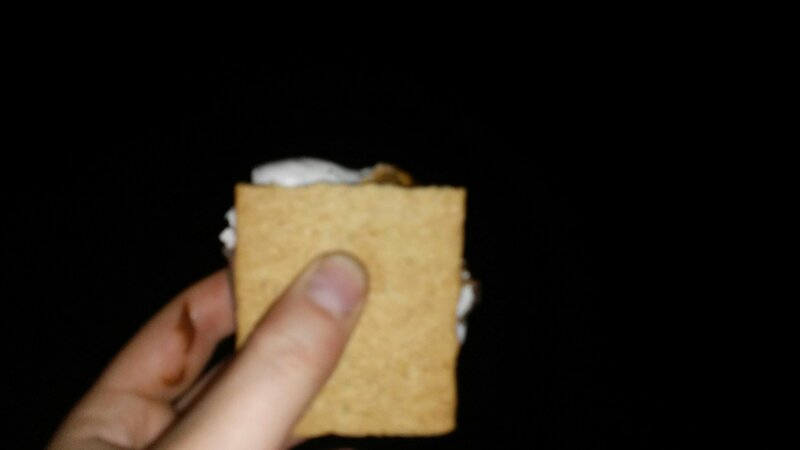 We were rewarded with a campfire and s’mores. Maybe the event should have been called Roars, Snores, and S’mores! I really liked how the staff thought of everything to make the stay as pleasant as possible. Besides dinner and s’mores in the evening, ice chests full of beverages were available. This was especially helpful since I had left my water bottle in my car parked a mile away. An outhouse was places in our lion enclosure to use at night, but there were a few opportunities to use the Safari Village restrooms before that. (As a note, Safari Village is really cool after the park closes and the usual guests have left.) Even a continental breakfast was provided, which wasn’t mentioned in the information online. Although this event is called Roars and Snores, neither of those happened until after I had crawled into my sleeping bag for the night. Lions use their roars as a way to keep track of everyone else, so when one lion roars, the others roar back. When the lions listen to this “carol”, they are able to tell if someone is missing, or if a stranger participated in the carol. They did this roll call (or is it a “roar call”?) several times at night before the roars of the lions were replaced by the snores of the other campers. I awoke the next morning to more lion carols- quite the alarm clock! I got ready foe the day, tore down my campsite, and leisurely enjoyed the continental breakfast. 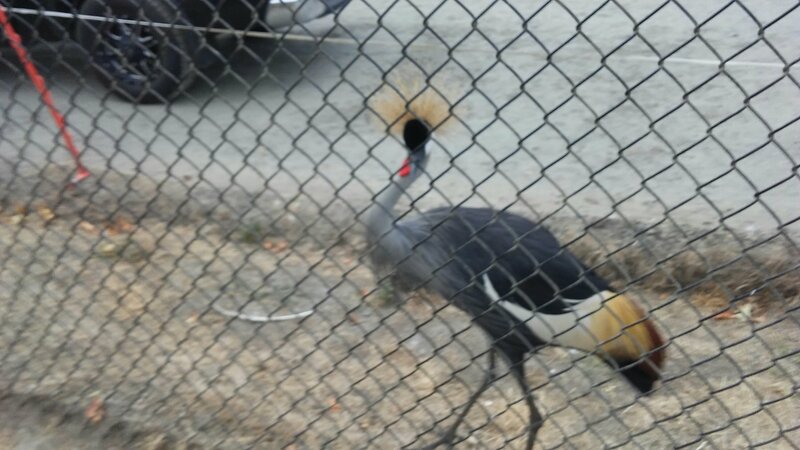 Two African cranes noticed that all of us humans were caged up and walked over to the outside of our fence. It was like they had gone to the zoo to see the people exhibit! Our first activity that morning was to go inside the enclosure that the lion cubs would use that day. 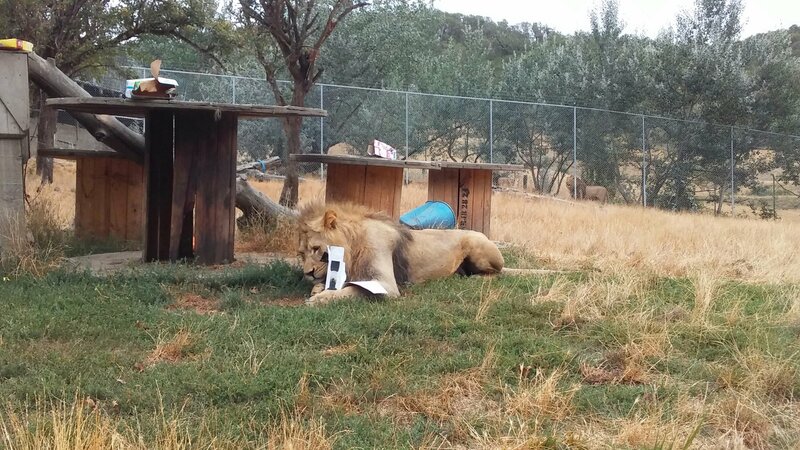 We took cardboard boxes, spritzed them with perfume, and placed them around the enclosure. 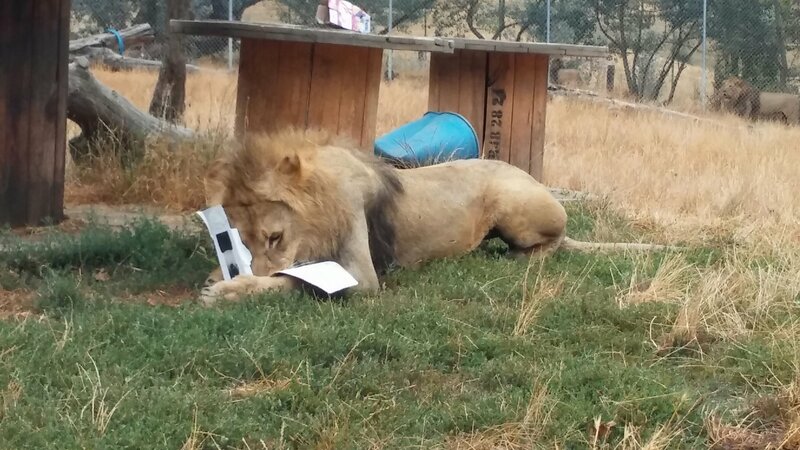 Apparently lions love playing with boxes and the scent of perfume interests them, but I think it also helped that the keepers placed meat in some of them! 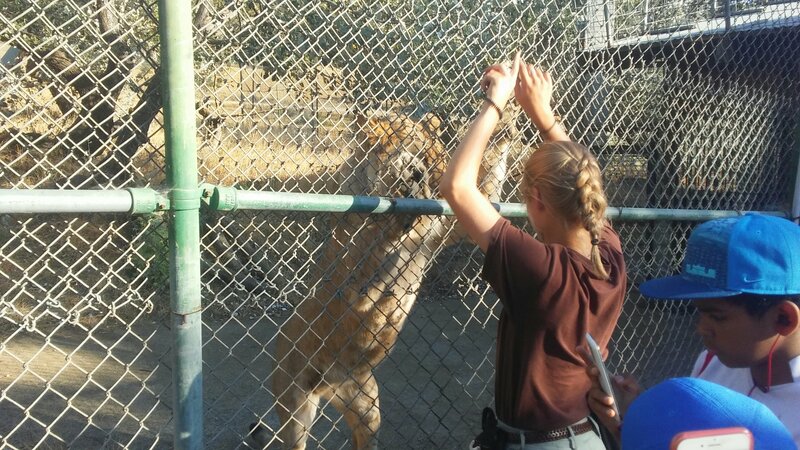 Once we were all safely outside of the enclosure, the lions were released and had a blast! The last activity of Roars and Snores was with a big cat that can’t even roar. 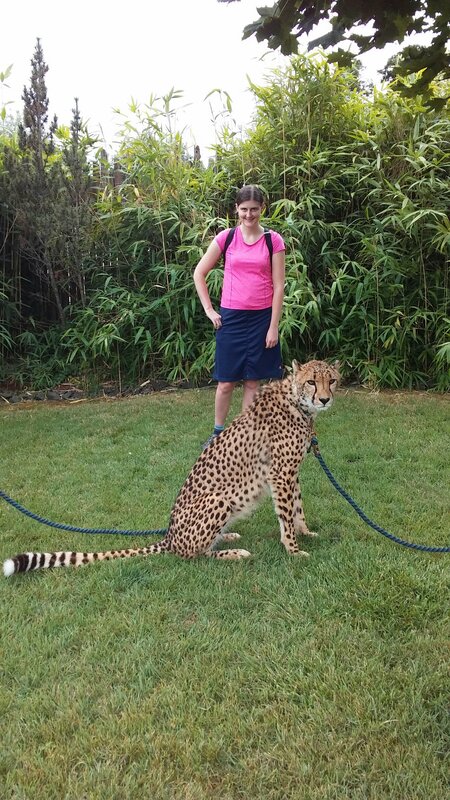 Everyone had the opportunity to get their picture taken with a cheetah. It’s hard to believe that thia all took place in less than 24 hours- they packed a lot into this short vacation! If this sounds like something you would like to do, check out Wildlife Safari’s website regularly for announcements about upcoming Roars and Snores sleepovers. They also sometimes offer an event that includes dibner for both you and the lions, bur without the campout. Your group could also book a private event that includes a lion encounter. Even if none of these are available for the date you want to visit, I’m sure you’ll still have a great time at Wildlife Safari at the drive-thru or in an animal encounter. PS- Discounted tickets are often available on Groupon, good for either drive-thru admission or an elephant car wash! It’s the weekend! What a great time for a road trip! Each day of this weekend, I’ve shared a recent road trip I took. My hope is that, even if you don’t take the route I did, you’ll get some tips and inspiration for wherever you go! Friday gave advice on things like how to meet your role models on the road. Then on Saturday, I shared tips for overcoming fear and having fun. Today brings us to new places never mentioned on this site before, as well as a few that we mentioned recently. But all these places will be explored differently. I made it all the way through June without going on a single overnight trip. You could say I was having road trip withdrawals. 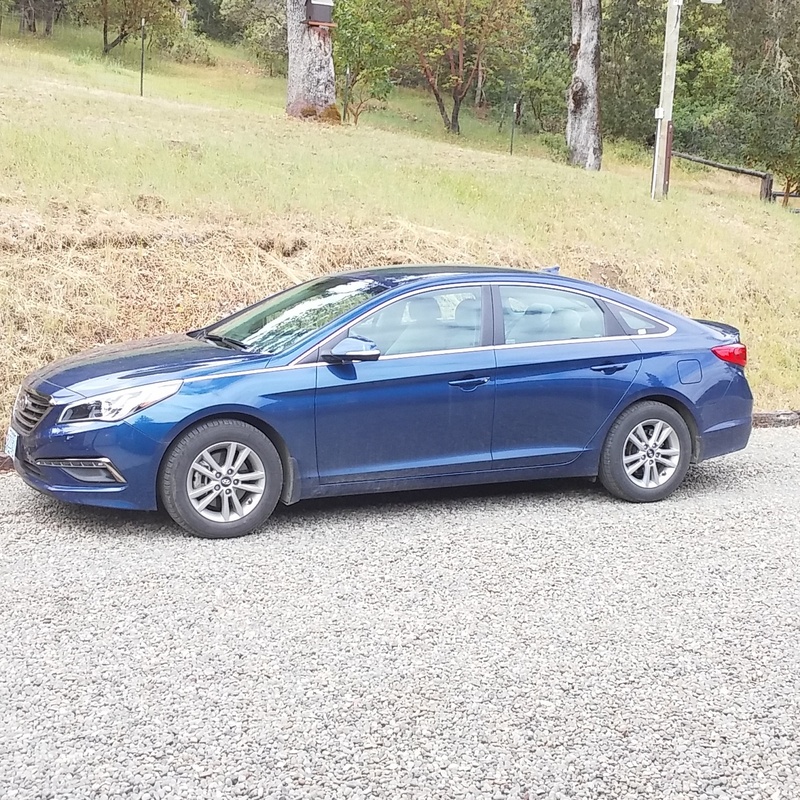 After getting my new car, I was really itching to put some pavement behind me. I looked at my next weekend, and my only commitment was a chiropractic appointment on Saturday morning. I couldn’t change it to an earlier time, and I didn’t want to cancel it, so I wasn’t sure if travel would be a possibility that day. But when I woke up Saturday morning, I decided that I’d just work some travel around that. There was an interesting-sounding hostel in Eugene, Oregon that I had never stayed at before. On the morning of, there was only one bed left to book, which just so happened to be in the female dorm. I quickly got ready (not packing much at all), made a rough plan of stops I would make, and headed off to the chiropractor. The doctor typically asks if I have anything exciting planned for that day, so it was nice to go in and tell him something interesting for a change! Leaving Seven Feathers… after about five minutes! My first stop was at Seven Feathers. I’ve only stopped there once, and that was back when my sister was underage, so I never actually walked through the casino part of the resort. However, I didn’t gamble. It was just a quick stop to use the bathroom, get on the WiFi, and take a picture with the world’s largest cast iron eagle. The front of the hostel. My room is the one with the balcony! After a couple more hours of driving up the I-5, I checked into Eugene Whiteaker International Hostel. While on the medium-to-small side as far as hostels go, this became one of my top hostels in the character and comfort categories. Flowers coincidentally matching my shirt. I didn’t stay long, however, because I only had the afternoon to explore Eugene. Thankfully, everything I wanted to see could be access from the Eugene Riverwalk, which was just a few blocks from the hostel. Before I got on the trail, I smelled the Owen Rose Garden. On the Riverwalk, which went by parks, businesses, and natural areas. After walking towards downtown for a bit, I came across a planet. Saturn, to be exact. This was a good sign, since my goal was to make it to the sun. Okay, maybe I should explain. The city of Eugene displays a lot of permanent public art. One of those is a scale model of the solar system. The sun, moon, and all the planets (including Pluto!) are all the correct size and distance from each other… if they shrunk to a billionth of what they actually are! While I would have loved to see Neptune and Pluto, they were miles away from the other planets distributed through a park and along the Riverwalk. After Saturn, I had to walk quite a bit further before I reached Jupiter. Then it would be a long time before I saw Mars. Following the footprints to University of Oregon. Go Ducks! But before I saw the small planets, I made a stop at University of Oregon. I didn’t end up in the central part of campus, but I enjoyed walking through an art department. Due to summer break, it seemed like a ghost town. If you want to visit Eugene for the culture, I would recommend going during the school year! One of the U of O student gardens had a peace pole. I should mention how beautiful the parks lining the river are. It’s neat that even a semi-large city like Eugene purposely sets aside prime locations for the public to enjoy. At one point, I was walking through a forested area! It was a long walk of many miles, but the beautiful urban nature and finding the planets kept me going. On my way back, I even walked further than I needed to so that I could see Uranus! The sun in comparison to the moon and Earth. Back at the hostel, I ate, relaxed, and did something artsy for the first time in a long time. Most importantly, I rested up for an even bigger day following. Despite me supposedly booking the last bed, I ended up with just one roommate in our four-bed dorm. That meant no one on my top bunk! On Sunday morning, I got ready, enjoyed the free hostel pancakes, and looked up where I needed to go that day. It all started with over an hour of driving to the Oregon Coast. I headed up to Yachats to begin my day at Thor’s Well. I had seen pictures of this blowhole online over the past few years, and I wanted to be able to see it for myself. Most of the pictures online were taken at high tide, which just could not work with my itinerary that day. But it was still a fantastic sight when I saw the water shoot up from the ground. And I had the added advantage of being able to walk right up to it! A beautiful blowhole by the name of Thor’s Well. Thor’s Well was the only planned attraction of this trip, but there was more to see on the Central Oregon Coast. While I’ve been to much of the Oregon Coast, I’m most familiar with the Southern part since it’s the most accessible from my home. I think the last time I was on the Central Oregon Coast, I was in middle or elementary school! Hiking up to Heceta Head Lighthouse. It was surprising how many stops I ended up taking just between Yachats and the neighboring town of Florence. There was Heceta Head Lighthouse which I of course had to tour, which was right next to a beach that was perfect for eating lunch at. Then I decided that, while expensive (at $14 a head! ), I should check out the Sea Lion Caves. In the past, when I told a former coworker about my solo travels, she would say that the only solo trip she’d ever done was driving out to the Sea Lion Caves by herself. That was what sold me on going here, just following in her footsteps I suppose. I was surprised at how many other people traveled out here; some were even from other countries! After entering through the gift shop, I ended up on a trail outside facing the Pacific Ocean. To the left, there was a lookout point where you could look down and see dozens of sea lions enjoying the sun and sea. Then to the right, there was an elevator that went deep down into the cave. Inside the cave. If you look closely, you’ll find sea lions on the rock in the middle of the water. The cave had a looping video, skeletons of sea lions, and informational panels about the different species. Of course, there was an opening to look into the part of the cave where the sea lions were, all piled on a rock. It was fairly distant, and at first I was a little disappointed in this place when you can see the San Francisco sea lions a lot closer, and for free. But then I found out that the staff member overseeing that area had a pair of binoculars that she loaned out to visitors, and she had plenty of stories to tell about the sea lions that I could now see up-close! I watched some sandboarders play around on this dune for a bit. I stopped for some s’mores flavored ice cream at a Florence ice cream shoppe called BJ’s, and then went behind the Fred Meyer to enjoy the sand dunes. (I wish I brought a sandboard or toboggan!) I continued driving south. I got a tip when planning for my NorCal road trip to San Francisco last summer that, if you go on a one-way trip along the West Coast, make sure you go south. That way, your side of the road has better views of the ocean. Good advice! I stopped at another lighthouse (though the tour was too expensive for this one) and an ocean overlook. I even went on a little nature walk through a patch of darlingtonia, which is a carnivorous pitcher plant. I tried stopping at an old favorite coffee shop in Coos Bay, but it was closed by the time I got there. Finally, I made it to Old Town Bandon. My booth at the Mexican restaurant overlooked all the boats in the harbor. I enjoyed many of the same places as I did the last time I stopped in Bandon, including the delicious Cranberry Sweets. But for some reason, I was craving Mexican food. Maybe it was because a favorite place to go when I worked in Bandon was El Jalepeno, a restaurant with big, unique, tasty burritos. Sadly, that closed down years ago. So I searched on my GPS to see if there were any Mexican restaurants still standing in Bandon. There was, and it just happened to be in Old Town! I walked there and enjoyed a feast. I think it was my first time eating solo at a sit-down Mexican restaurant, and it was a revelation to realize that I could double-dip my chips in the salsa! The sun setting over Kissing Rock in Gold Beach. With a full belly, I pondered where to go from here. Everything south of Bandon would just be a repeat of my trip to Brookings a couple months prior. It would be faster to head back to the I-5, but that would also be a repeat but with less scenery. I decided to take the long way home so that I could enjoy more of the coastal views. Most of it was drive-by enjoyment, such as through the Mount Humbug and Prehistoric Gardens area. But I did make a quick stop at Kissing Rock in Gold Beach as the sun was setting. I even stopped at Oregon’s highest bridge, which I’ve driven over several times but never actually stopped to look at. I took an even longer break in Brookings so I could explore Azalea Park, which was too rainy to enjoy the last time I was there. When I was a kid and camped near Brookings, the Azalea Park playground was like a castle. I played on it for a few seconds for old time’s sake, but was now more impressed with the garden and the capella. After that, it was a dark, eerie-but-fun drive through the redwoods. 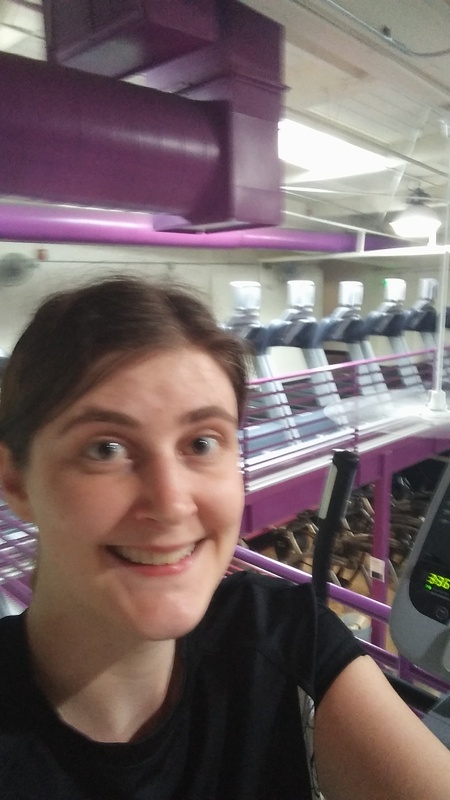 I work the overnight shift between Sunday and Monday, and I made it there with ten minutes to spare! Other than Yachats, I had already been to all the towns that I stopped at on this road trip. Yet it felt like an entirely new experience. Enjoying different attractions or seeing the same attractions in different ways (such as different times of day or even different ages!) made it a whole new experience. Have you ever visited a destination more than once? What felt different on subsequent trips? Let me know in the comments! This trip was made possible because I found a reservation for Eugene Whiteaker International Hostel on Hostelz.com. I recommend Hostelz.com to find the biggest selection of hostels out there. Click here to save money on accommodations while simultaneously helping this site!